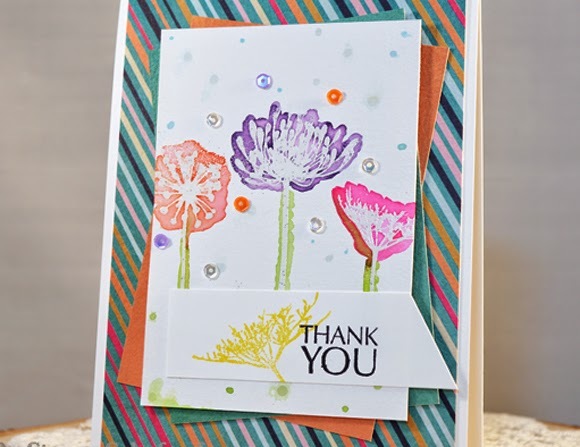 Here is the gorgeous Penny Black Flower Sparks stamp set that I got to use for the challenge today! 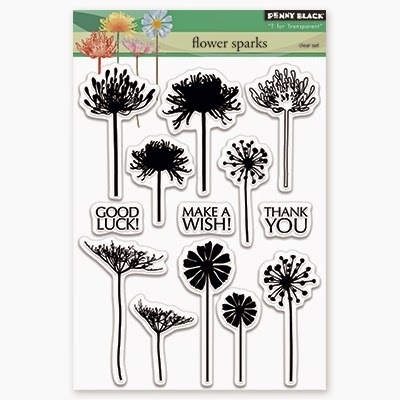 I love the variety of flower stems and all-occasion sentiments...a great set to have! There's a bit of watercoloring on my card. I stamped three different flowers over some watercolor paper and heat embossed them using clear embossing powder. I added some diluted distress inks with a paint brush just around the flowers to add some color. A few drops of color and sequins were sprinkled about before layering it all up with papers. 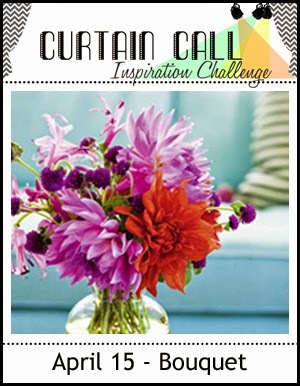 Lovely use of those fabulous flower images. Lovely card Stacey. The heat embossing looks great with the water coloring. Pretty colors.